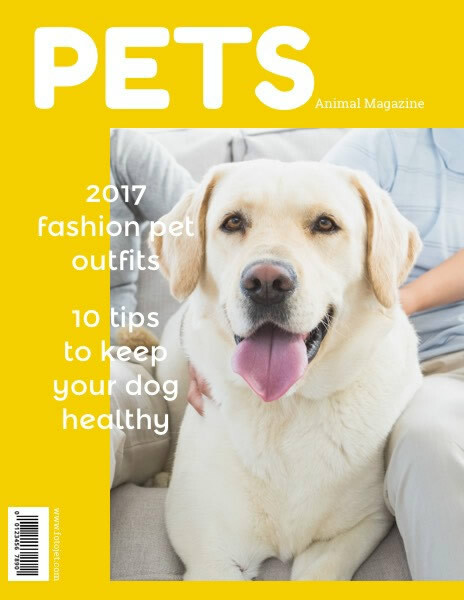 Whether you want to show your pet photos in a unique way or just need an animal magazine cover, this cute magazine cover template with a dog photo is a good place for you to start. Without any complicated design, this template can also catch viewer’s eyes. It sets a bright yellow color as the background and gives the largest space to the picture. What’s more, FotoJet's magazine cover maker also provides endless editing options for you. You can upload your photos, add more text, and make it more stunning via several adjustments.